In keeping with our continued efforts to improve transparency in the EB-5 industry and provide tools that benefit all stakeholders, we’ve developed an EB-5 Regional Center Database tool that enables users to quickly find potential regional center sponsors for their projects. Simply insert the address of a project and instantly get a list of EB-5 regional centers with the necessary geographic coverage. This tool allows you to rapidly locate potential sponsors for your project based on project address. You don’t have to waste time blindly contacting regional centers in order to determine whether a regional center’s geographic scope includes your project’s location, and you are able to review a complete list of all possible candidates, helping you make an informed choice. We believe this time-saving tool will prove particularly helpful for those affected by the recent shift in policy announced March 3, 2017—which we will examine in detail below. If the regional center sponsoring your project does not currently have the necessary geographic scope and has filed I-526 Petitions based on a pending change to its geographic coverage, you should seek out a new regional center to sponsor these pending I-526 Petitions as USCIS has indicated a high risk of denial. At the EB-5 stakeholder meeting on March 3, 2017, in Washington, D.C., United States Citizenship and Immigration Services (USCIS) made several important announcements that could have lasting effects on the EB-5 market. USCIS hopes to hire nearly 100 new staff for application processing. To hire additional personnel, however, USCIS would need to obtain an exemption from the current federal hiring freeze put in place by the Trump Administration. If allowed, hiring the additional personnel could have a long-term positive effect on adjudication times. USCIS plans to perform what it has called “drive-by” inspections of regional centers. In addition to these, USCIS plans to conduct formal inspections, for which it would give regional centers advance notice (typically one week) and direction regarding which documents will be examined and when the on-site review will occur. USCIS indicated it plans to conduct more than 200 such inspections in 2017. USCIS will no longer accept I-526 Petitions that were filed based upon pending changes to a regional center’s geographic coverage area. Changes to a regional center’s geographic boundary must first be approved. Of the three changes listed above, the third is certainly the most significant. Beyond the long-term implications of this change, the immediate effects of this drastic shift in policy could cause substantial harm to investors in particular and the industry in general. Prior to the March 3, 2017, announcement—and some earlier documents USCIS cites as advance notice of the policy change—the policy governing requests by regional centers to expand their geographic boundaries was given in the May 30, 2013, USCIS EB-5 Policy Memorandum. The May 30 memo clearly stated that regional centers did not need to submit formal I-924 amendments in order to expand their geographic boundaries. Under these former guidelines, a regional center was able to sponsor a project with a location outside its currently approved geographic scope while awaiting the approval of expanded jurisdiction. 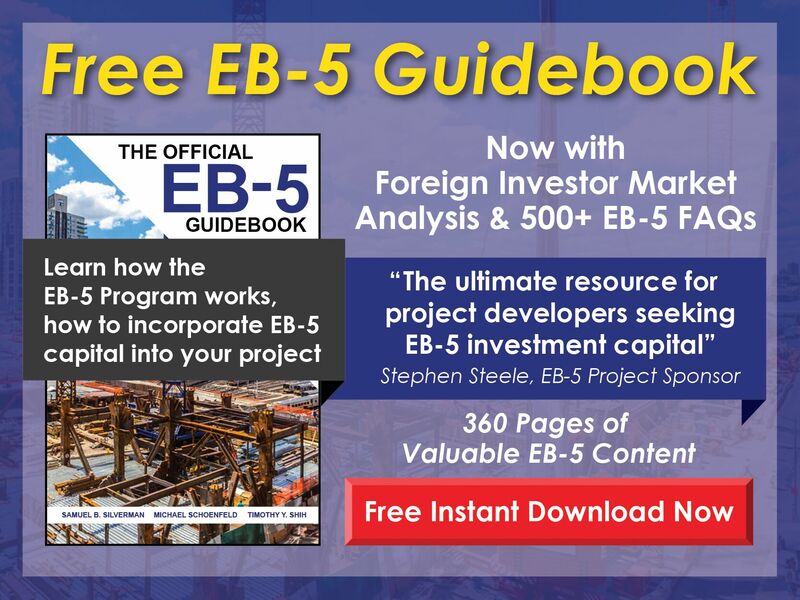 Furthermore, this allowed investors to file their I-526 Petitions without having to wait for the regional center’s request to be approved—expediting their EB-5 application process by about a year. Unlike the former policy, which did not require a formal I-924 amendment to sponsor a project located outside the regional center’s current geographic boundaries, the new policy does require that a formal amendment application first be approved. Although announced at the March 3, 2017, stakeholder meeting, the new policy is effective as of December 23, 2016. According to USCIS, the actual changes to policy were expressed in the EB-5 Policy Manual that was published in November 2016 and in the recently revised Form I-924. The reason the March 3 announcement came as a surprise to many is that these earlier changes were not explicit. The Policy Manual does not specifically state that a formal I-924 amendment is required to expand a regional center’s geographic scope—instead, geography was simply omitted from the list of changes that regional centers can request without filing I-924 amendments. Contributing to this confusion were statements from USCIS indicating that the relevant chapter in the Policy Manual would merely serve to consolidate policy as it already existed and would not change anything. Ultimately, the effective date of the policy changes is based on the date of the new Form I-924, which was finalized on December 23, 2016. While the instructions for the new Form I-924 do specifically state that a regional center must file an amendment to change its geographic boundary, they do not state that the regional center cannot file I-526 Petitions based on the pending changes while awaiting adjudication. But the March 3, 2017, announcement clarifies that any I-526 Petition submitted since December 23, 2016, based on a pending change to a regional center’s geographic boundary is subject to the policy change and will be denied because it was not approvable when filed. To date, USCIS has provided no explanation for the policy change. One of the most significant implications of this new policy is that investors in the situation described above—who invested in good faith through regional centers that were operating within the stated parameters of USCIS policy—will have their I-526 Petitions denied. Many who attended the March 3, 2017, stakeholder meeting voiced strong objection to this change, arguing that USCIS hadn’t provided sufficient notice and that the negative impact of the change on EB-5 investors, developers, and regional centers could be substantial. After the stakeholder meeting concluded, USCIS representatives indicated they might review the situation—which leaves open the possibility that USCIS could make changes to minimize the adverse effects of this policy change. For example, USCIS may choose to approve an I-526 Petition filed after December 23, 2016, if the regional center in question had already filed an I-924 to expand its geography to include the project’s location. Alternatively, USCIS may choose to shift the effective date of the new policy to March 3 or some later date, which would make petitions approvable if filed after December 23, 2016, but before the announcement. Another possibility is that USCIS may choose to approve I-526 Petitions in an affected project if the project already has approved I-526 Petitions. One other possibility is that USCIS might allow investors with pending I-526 Petitions to change sponsorship to a regional center with the necessary geographic scope. USCIS is less likely to consider changing its stance on this new policy without a sufficient response from stakeholders, so regional centers and developers in particular should voice their concerns to their congressional representatives and be prepared to bring litigation as necessary. 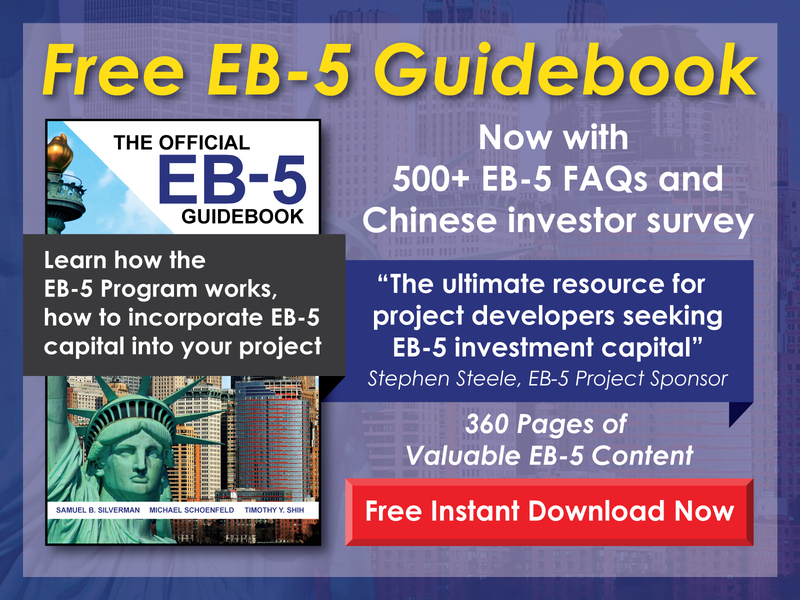 In the meantime, EB-5 professionals should carefully consider the new policy as it relates to their business activities—there is no guarantee USCIS will reverse or revise any element of this new policy. Investors, project developers, and regional centers affected by the new policy should consider retaining experienced legal counsel to discuss how this change might impact them—and what actions they might need to take. Maintain the current petition and argue that USCIS failed to properly notify stakeholders of the change in policy; as a result, they should not be permitted to deny I-526 Petitions based on this change due to a lack of due process, fairness, and sufficient explanation/reasoning. If the regional center filed Form I-924 to expand its geographic scope before the investor filed his or her I-526 Petition, argue that the Policy Manual does not explicitly prevent investors from filing Form I-526 while the regional center awaits USCIS approval of the expanded geographic coverage; without clearly addressing this issue, the manual arguably fails to overturn the policy as given in the May 2013 memo. If one or more of the project’s investors had already filed Form I-526 on or before December 23, 2016, argue that these filings effectively expanded the regional center’s geographic boundary under the policy set forth in the 2013 memo; any future filings would, therefore, be subject to the expanded coverage and unaffected by the new policy. File a new petition through a regional center whose current geographic coverage area includes the location of the project; this step may be particularly important for Mainland-born Chinese investors who face visa retrogression delays. Interfile a request to change sponsorship to a new regional center with the necessary geographic coverage, subject to that regional center’s consent; this action would require the new regional center to have had the necessary geographic coverage for the project in question on or before the investor’s I-526 filing date. By taking one or more of the actions listed above, an investor will help establish an administrative record that may prove invaluable should the investor’s I-526 Petition be denied and he or she makes an appeal to federal district court or the USCIS Administrative Appeals Office. If you are an investor affected by this new policy and you are interested in filing a new petition or interfiling a request to change regional center sponsorship, our EB-5 Regional Center Database tool will help you identify a regional center that can meet your needs.